I was a bit late getting on board with American Horror Story, not because I didn’t want to watch it but because I just have so much stuff to watch, but a few weeks ago I got to the end of its second season. From the creators of Glee (I know, right, wtf?) AHS has taken the form of an anthology series meaning that each season it’s own premise, storyline and characters, although some of the actors remain in the cast. Season one which has since been named ‘Murder House’ told the story of a family as they move into a new house with a strange recurring history of murders. And season two which is named ‘Asylum’ takes us on a journey through a mental asylum mainly set in 1964. It’s been a hit show for FX and its ratings have been solid throughout with a third season titled ‘Coven’ due to air from October. From the off AHS throws everything its got it. In both seasons you are bombarded with different horror conventions with the show having used about every well-known element of the genre within it’s first episode. What I found with both seasons is that while their first halves were incredibly intriguing hurling a huge amount of action at you and setting up some complex mysteries that need to be solved as they go on the scare factor drops drastically as the writers are rushing for an explanation for everything that’s happened and neither season has a very satisfactory summary. Particularly in Asylum which I found left a large amount of questions unanswered. In Murder House everything is explained, from what I can remember, but it’s explanation is really just a bit of a cop out making the whole mystery of the season seem like not much of a mystery in the first place. Despite this there’s still something keeping me involved with the show, I’ll definitely be watching season three as it comes out and I think the reason is that this whole premise is brimming with potential. While its story arcs are somewhat lacking in intelligence there is a lot AHS does right. One of the best factors of the show is its casting with the recurring cast members, particularly Zachary Quinto, Jessica Lange and Evan Peters who play lead characters in both seasons, delivering fantastic performances and showing their diversity by playing very different parts. Also exemplary is the artistic direction of the episodes it’s clear a lot of though has gone into making this show just look really cool, with effective artistic shots and top quality editing making the show fun to watch even if its plots aren’t up to scratch. While its first two seasons don’t fully deliver on the promise of their first episodes AHS is a show that has the potential to be the definitive tv horror programme, all it needs to do is come up with an idea that stays scary for thirteen episodes and doesn’t get so complicated that it can’t be fully explained. Easier said than done I guess but hopefully the shows writers will get there with Coven. Since Hot Fuzz which was all the way back in 2007 Simon Pegg, Edgar Wright and Nick Frost have split off in their own directions with varying degrees of success. While I have found Pegg to become a less likeable film personality than most, with boring comedies like Run Fatboy Run and How to Lose Friends and Alienate People, and worse than average performances in big blockbuster like the Mission Impossible series and his portrayal of Scotty in the new Star Trek movies, Edgar Wright having only done the brilliant Scott Pilgrim vs. The World has proven he’s a director who that’s a cut above the rest. Frost has done a number of films in between but none of them have tickled my fancy really, and then of course there’s Paul which saw Pegg and Frost team up on screen but I’m steering well clear of that for now. So here we have the reunion then of a group of blokes who grew up in Somerset, loved zombie movie and Star Wars and somehow became some of the biggest names in film. But would The World’s End capture that magic that made Shaun of the Dead and Hot Fuzz so much fun? 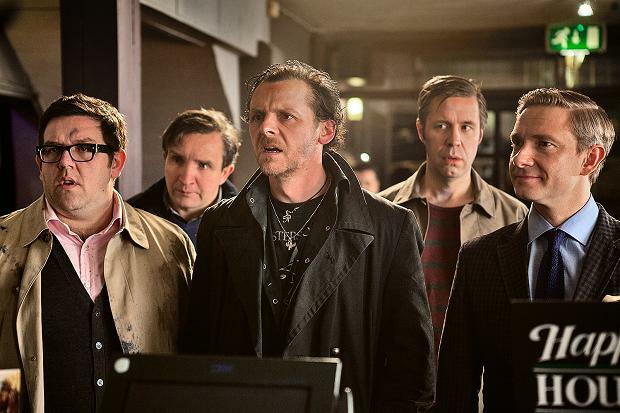 The first thing to make clear is that while bearing some similarities, for the most part, The World’s End is very different from it’s two predecessors, this is a much more polished film, and despite it’s utterly British premise the film feels a lot more Hollywood than Shaun and Fuzz. One of the most disappointing aspects is that the loveable nerdiness that was scattered in those films is not really apparent here, while they referenced countless movies and games, The World’s End really is striving more to get by on it’s own humour and appeal. It’s a shame though not to have this fanboy element but then The World’s End should really be judged on its own merit rather than comparing it to others. And when you do that it’s a film with very few faults. Adding more major British acting talent with Martin Freeman, Paddy Considine and Eddie Marsan all having large roles it is still Pegg and Frost how hold the films most enticing characters and there performances are the best either of them have brought to the table since Fuzz. Pegg provides the majority of the film gags but Frost’s kung fu acrobatics are possibly the films funniest moments. The choreography is very well done here, Wright obviously having picked up some techniques from Scott Pilgrim and it does provide so the some entertaining action which still holds the comic over-the-top violence that there films are known for. Plot-wise The World’s End doesn’t exactly push any new boundaries and really plays out like an episode of Doctor Who with a world threatening alien invasion that is solved in a rather ridiculous way. It’s ending is easily it’s strongest and funniest moment I don’t want to give it away but to me the conclusion is what stops The World’s End from falling into the field of mediocrity. 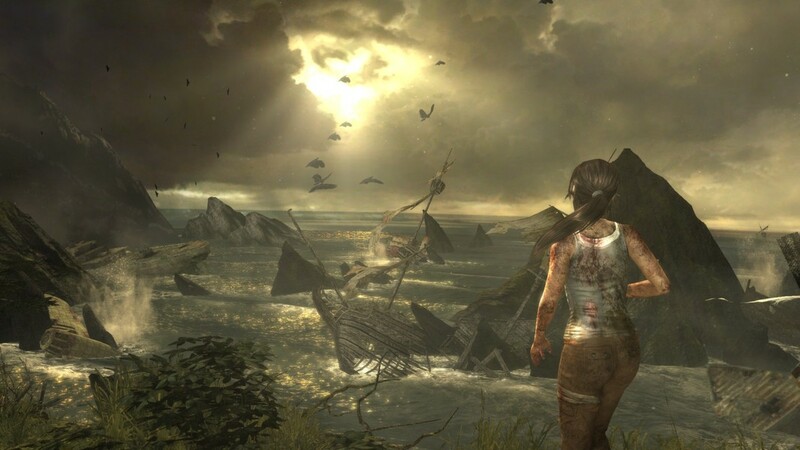 If you go back quite a long way in gaming history one series that will pop out is Tomb Raider, it provided gamers with not only challenging puzzles, exciting action and fun story-lines but also a lead character that you could drool over. Despite having once been one of the most powerful franchises in video games the series took a dive in both quality and sales particularly since the 360 and PS3 came out with no releases that stood up against the competition. So it really was high time that if Tomb Raider was going to continue it needed to be completely rebooted. And with this new release that’s exactly what developers Crystal Dynamics have done. But the question is does Lara Croft still hold the cultural significance she once did? And with a new market leader, Naughty Dog with the acclaimed Uncharted series, what could Tomb Raider give us anything that sets it apart from the competition? First of all the graphics are absolutely stunning, as you can see from the screenshot above the look of the game is one of the most attractive out this year, far surpassing the visuals games like Dishonored and Metal Gear Rising boasted and that’s no mean feat. Lara is more attractive than ever too, and the casting of Camilla Luddington as her voice was a great move bringing back the sexiest video game character of all time. The gameplay’s fun and fluid too incorporating a number of different elements making no two levels the same, with well designed gunplay, enjoyable QTE’s and gripping platform sections. It’s clear that the developing team really have worked to make this game stand out as good as can be. It’s a shame really then that so many elements of its gameplay is nothing but a straight copy from Uncharted, especially the climbing/platform aspects of Tomb Raider seem to use the exact same features from the Uncharted games. It’s obviously become more action orientated much like Naughty Dog’s equivalent. On top of this Tomb Raider’s story is much shorter than any of the Uncharted campaigns and it lacks the tongue-in-cheek vibe that makes Uncharted so much more enjoyable. It also falls short on the puzzles, in old Tomb Raider games the puzzles used to take me hours and were infuriating but very cleverly made, in this new incarnation there are only a handful of puzzles to be figured out and all of them take a maximum of about five minutes, I think they missed a trick here as the Uncharted puzzles are fun enough but if this reboot could have captured some of the old puzzle elements it could well have outdone the franchise on this aspect at least. While I had a great time playing through Tomb Raider it ultimately fell short of the new top franchise in adventure gaming. There very little replay value here either and you just wish they ditched the pointless multiplayer mode and instead extended the story because there is a lot of potential here despite the fact it spends most of it’s time copying Uncharted. Worth a play but in the end its a hollow experience, a sequel could bring about an improvement though and the graphics deserve merit on their own. Monsters, Inc. is quite simply one of the greatest animated movies of all time, often overlooked because of the other great Pixar movies like Toy Story, I think the original Monsters has a good case for being the studio’s best. And when you compare that to the rest of Pixar’s output that is quite a statement. But Monsters, Inc. gives us one of the most brilliantly original ideas of any film I’ve seen, it creates a fantastic new universe of wacky creations and lovable characters. It’s a great example of everything that Pixar is about, forgetting conventions and coming up with something new. In fact it comes as a surprise to me that it has taken this long for a sequel to come out. Monsters University, though, isn’t your average sequel and although I’ve often moaned about the lack of original concepts from Pixar in recent years this prequel is something that has not just been dashed together, its a movie that has only been made because the idea is good enough, not for a quick profit like the shoddy Cars 2. 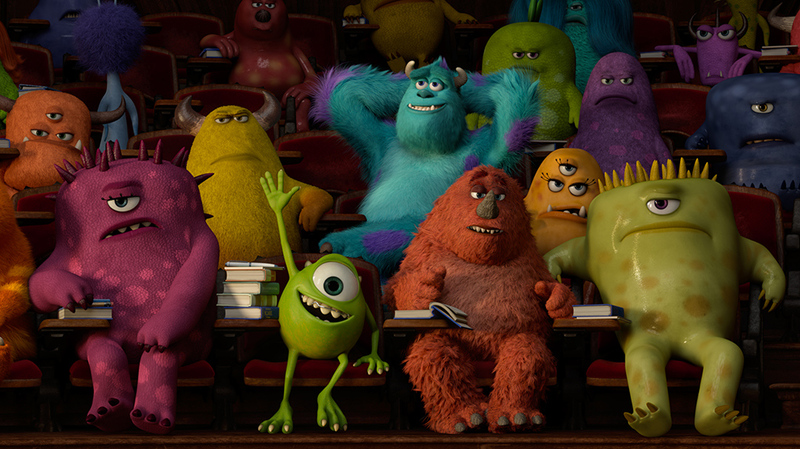 Monsters University sees a return to form for the kings of computer animation. While Monsters University does lose some of the magic that the first one had, mainly because the idea was so original, there ire still so many fresh and new ideas here that it would be harsh to judge it in that sense. The plot of the movies takes a rather predictable route, with a classic underdog story, but it’s greatest ideas are to be found in the smaller details. The collection of Monsters that have been created is both hilarious and impressive featuring a range of beasts which start at walking balls of fluff with hair and stop at everything in between before reaching multi-limbed, multi-horned, multi-eyed creatures that must have been an absolute joy to design. The writing remains fresh here too with great jokes that are a cut above your usual kids movies fodder, something Pixar have always been good at is appealing to all generations and Monsters University’s humour is the best example of this in a long while with the last two pictures, Brave and Cars 2 sadly lacking the holistic approach most of the studios movies have. They find humour in everything in this movie and keep a smile on your face from beginning to end. The animation is some of the best I’ve ever seen as well, with vibrant colours that practically jump out the screen at you, it was a shame I saw it in 3D as the glasses reduce the amount of colour you see and the 3D itself is never actually used but it was still stunningly good looking. With Monsters University, Pixar have delivered perhaps there most original, non-original movie and have given us a light, fresh, funny new film which stands up very well against some of their greatest hits. It may not be as good as its predecessor but this deserves to be one of the biggest hits of the summer. A week and a half ago Ben Wheatley’s fourth feature was released across a range of platforms in a unique, holistic new approach. A Field in England was made available in cinemas, on DVD and Blu-Ray, on Video on Demand and broadcast on TV. Since I’m back in a hovel of Devon for the summer there was no nearby cinema where I could indulge in watching Wheatley’s latest so I settled for watching it on Film4. 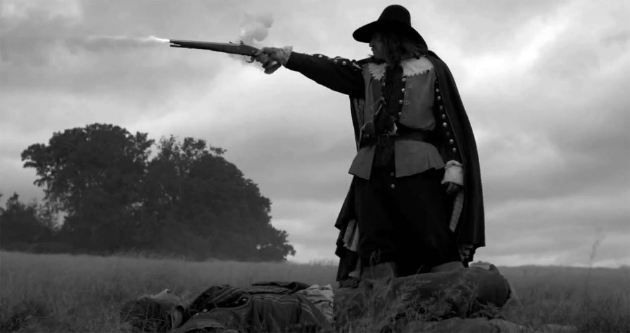 The film is very different from his past efforts being a period piece set in the English Civil War and fitting in to the experimental horror genre its a bit of a departure from his previous gritty, realistic movies but there is still his signature to be seen. Following a small group of blokes who have broken off from their army we are taken on a horrifying journey as they find themselves lost amongst the fields with a foreboding presence lurking over them. Shot completely in black and white Wheatley makes full use of his surroundings with the crisp HD making the colours feel vivid without even being there. Throughout the films hazy plot he uses a variety of editing techniques which makes the whole movie a trippy and strange experience. And he does deliver a unique feeling of threat in an unorthodox way. A Field in England has the it’s odd flourishes of graphic violence but for the most part plays on feelings of tension and fear and works very effectively. It’s a film that demands repeat viewings to fully get your head round its aims and concepts but one that I would be very happy to watch multiple times. While perhaps being a slightly more difficult watch than Wheatley’s first three films A Field in England adds another feather to the ever growing bow of one of the most exciting talents in film at the moment. As interesting as it is haunting this movie is fantastic. In a year that promises to be big for hip hop, last week saw Jay-Z’s hotly anticipated latest album released. With the undoubted genius of Kanye West’s Yeezus fresh in everyone’s mind Magna Carta Holy Grail had a lot to do if it was going to stand out. But while Jay-Z’s celebrity profile only seems to grow and grow his music lacks a punch it once had and this latest studio effort hasn’t really changed things. With his last record, 2009’s Blueprint 3, we saw the rapper move further into the realms of slick, pop-like hip hop and with Magna Carta… he continues that direction. With collaborations from Justin Timberlake, Beyonce and Frank Ocean it was obvious that really his interests are in other areas than hip hop nowadays. His rhymes here a mostly lazy and uninspired, back when he was coming up with classic albums like The Black Album and the first Blueprint there was a real emotional charge to his lyrics as he told stories of hood life, drug dealing and breaking out of the projects, with Magna Carta… we get him comparing himself to Picasso numerous times with no real justification, and giving us a poor sample version of Smells Like Teen Spirit. At points his lines don’t even make sense its clear he’s put them in for a nice rhyme, with things like ‘Leonardo Da Vinci flows, Riccardo Tisci Givenchy clothes’. The production can’t really be faulted continuing in the polished style of Blueprint 3 the beats tick away nicely providing a distraction from Jay-Z’s less than gripping vocal performance. Some of the tracks are great to listen to F.U.T.W and closing track Nickel and Dimes are a couple of stand outs but this is overall a disappointing record. 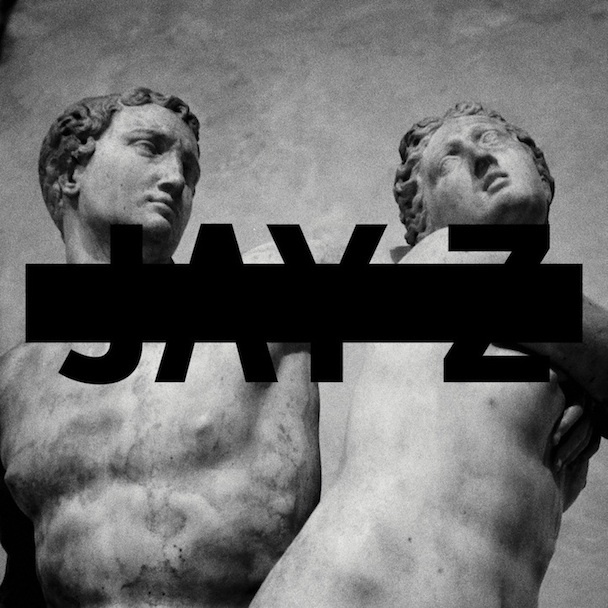 It’s been a long time really since Jay-Z has been a hip hop genius but I had had a bit of hope for this album after the unique sound found on his collaborative Watch the Throne album with Kanye but Magna Carta… really fails to deliver. In this busy year for hip hop the record will be lost well below the quality of what else is on offer.